Pinnacle Marketing, Inc. strives to deliver the best and most professional sales representation available to both our principals and our customers. 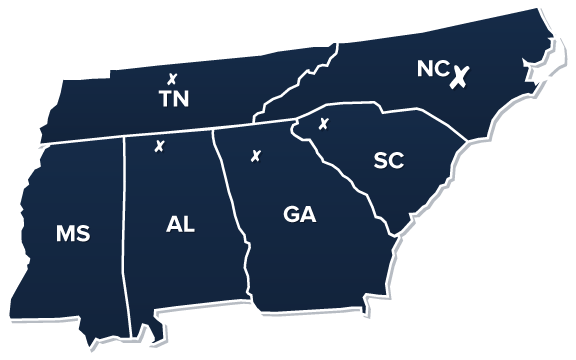 Territory coverage includes North Carolina, South Carolina, Georgia, Alabama, Mississippi, and Tennessee. Office locations are noted on the map. ©2017 Pinnacle Marketing, Inc. All Rights Reserved. Web Design by Underwood Creative.